All the jobs that I've worked, I went beyond the normal expectations of the job. Been associate of the month a few times, I was a trainer at the Walmart dc, and at Triple B con. I work in a very productive safe manner. I can lift heavy things repetitively. I'm able to work in the heat and cold temperatures. I'm wanting to join forces in a great working environment and I believe csx is just that. ics Mar 2014－Present Walmart 550 － Lawrenceville, il Set up and unload freight from semis, stack the items on different pallets accordingly.Haul the stacked pallets to there right area. Clean up mess and get ready to pick freight. Lifting boxes up to and sometimes over 100lbs. Read orders to ascertain catalog numbers, sizes, colors, and quantities of merchandise. 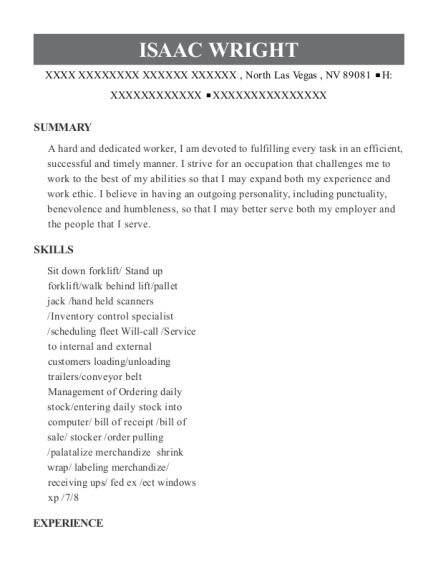 Requisition additional materials, supplies, and equipment. 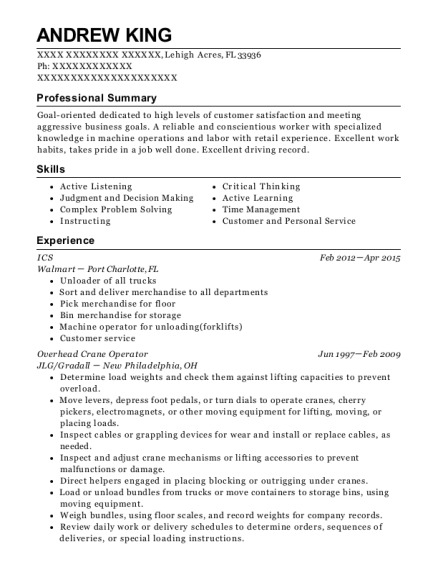 This is a resume for a ics in Sumner, Illinois with experience working for such companies as Walmart 550 and Triple B con. 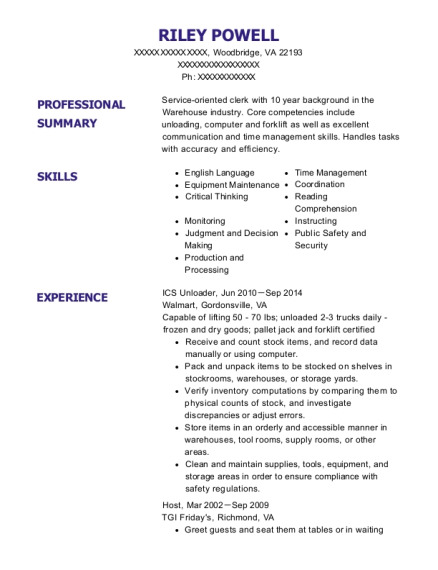 The grade for this resume is 0 and is one of hundreds of ics resumes available on our site for free. 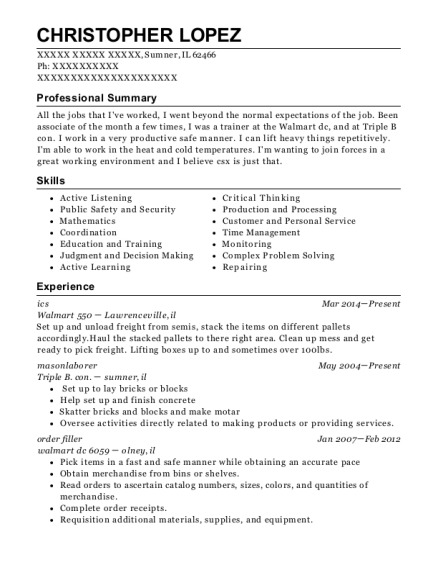 Use these resumes as templates to get help creating the best ics resume.